Because numbers and stats are dry, boring, and readers skip right over them. . But a visual story told through numbers and facts, that relate to your audience, that’s powerful. You already have tons of data from your library, now make it work better in your marketing by turning it into story with more infographics. An infographic is a visual or graphical representation of data, statistics, or key facts that can help a reader more easily visualize a concept, topic, or story that is difficult to understand. They’re a carefully created, visually appealing, uncluttered blend of graphics and minimal text that turn numbers into stories. 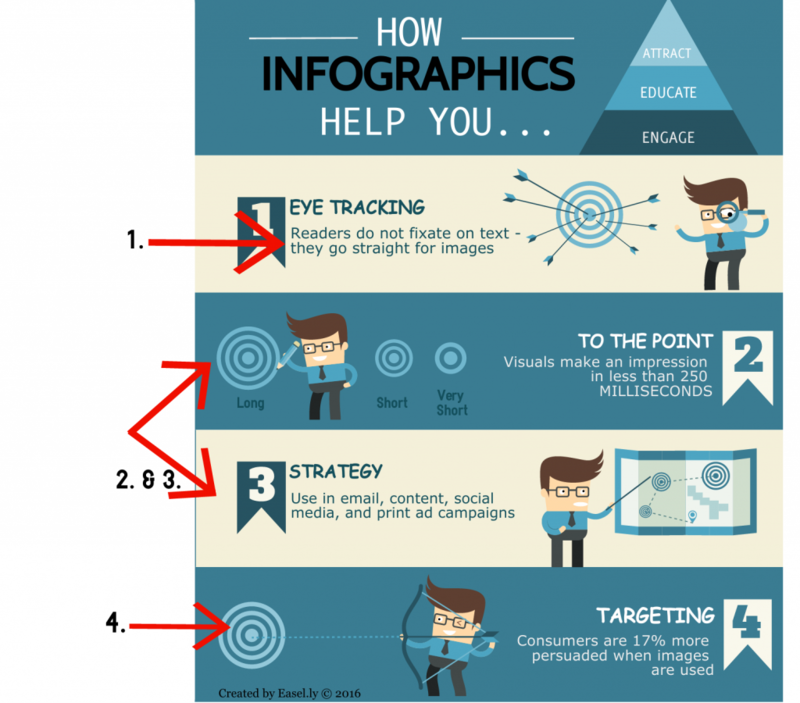 Infographics should have a singular focus and show only 1 story at a time. They’re perfect for describing complex relationships or contexts in less space and time than a text-based article. The graphics use space, images, lines or arrows to create a sense of movement and lead the viewer/reader through your numbers or concepts to get to a specific point. In that way they are much more than a bar chart, pie chart, or other graph. Infographics are NOT a fad (though the various design styles will change depending on what’s popular) and they’ve been around quite a while. Think about how long ago the newspaper USA Today set itself apart with its colorful look, short text, and those quick-to-read little infographics on the corner of every sections’ front page. It’s just we have more, and easier to use, tools to create them now. Creating a compelling, interesting, appealing infographic no longer requires years of graphic design study, hiring a graphic designer, or learning complicated programs like Illustrator. 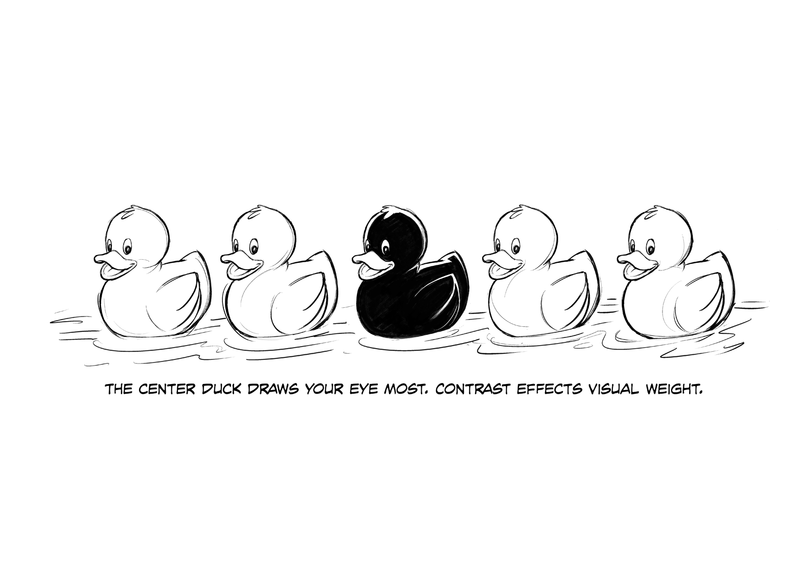 Know where you want to attract and draw your reader’s to focus – use color, elements, icons, even arrows to draw them there. Want more help? Even if you aren’t using Canva, I recommend their Design School tutorials and tips or their additional design courses. 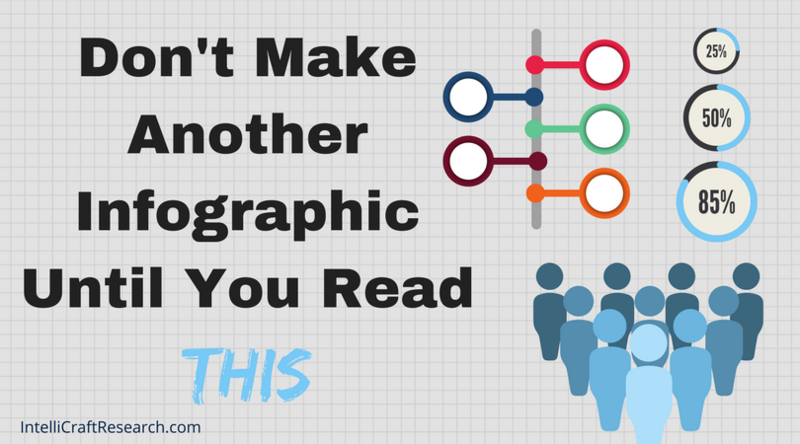 Ok, you’ve likely already created quite a few infographics, but have you used them for purely marketing purposes? 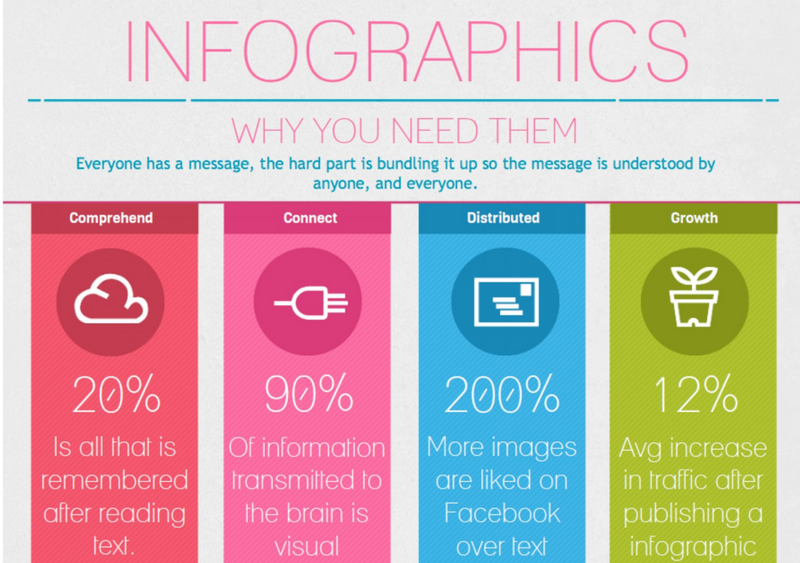 How Can Your Library Use Infographics in Marketing? Telling the library’s story, importance and continued relevance, to your community is key, we know. Visual, such as infographics can better tell a narrative and make that case. Need to communicate value to others in your academic community? Infographics of hours librarians spent teaching, leading instruction, number of research methods classes, library instruction programs by department, and more. Wouldn’t an infographic of reference questions asked and answered be more interesting to look at and share than just numbers? 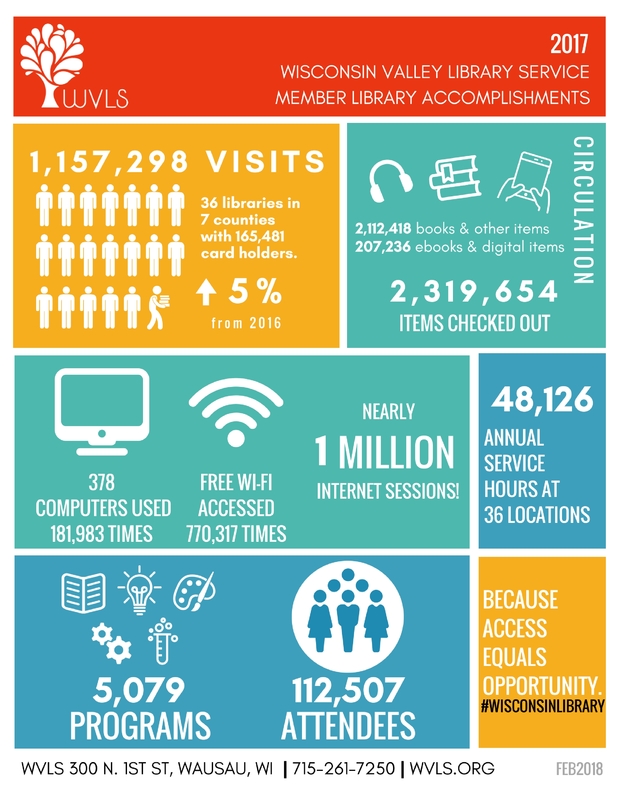 Put key library stats in an infographic and include it in your Press Kit and on your Media page – make it easy for local media to pick up on highlights of library use. Make a more compelling, easy to understand case for a weeding project by showing the age of your collection, its gaps and deficiencies, via an infographic. Illustrate the reasons given for challenging particular books in an infographic and share during Banned Books Week (like this beautiful example from the Comic Book Legal Defense Fund, using Visual.ly). Want to see more examples of infographics from various libraries? Ok! 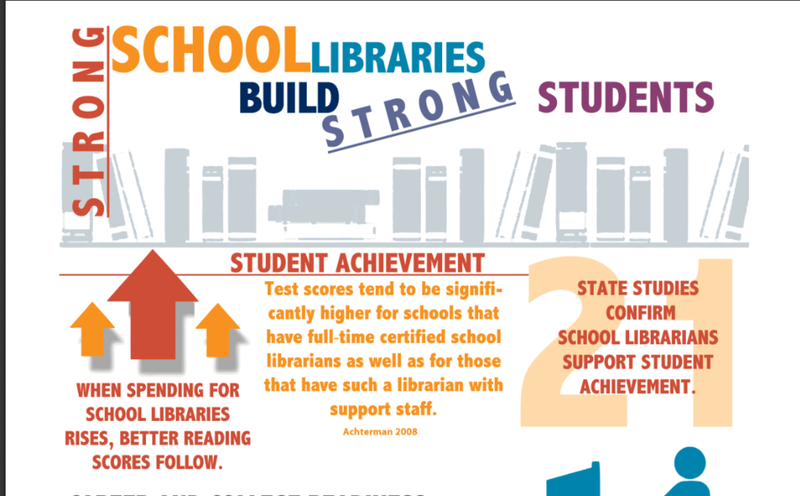 AASL created an infographic and fact sheet to advocate how ‘Strong School Libraries Build Strong Students’ – any school library can use. 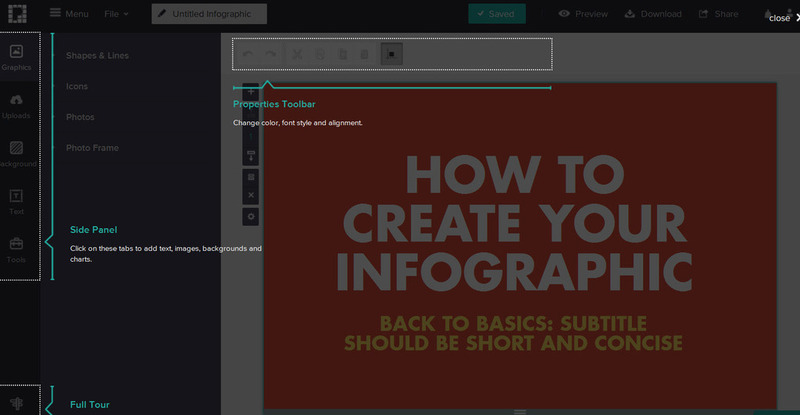 Canva – making design easy and affordable. 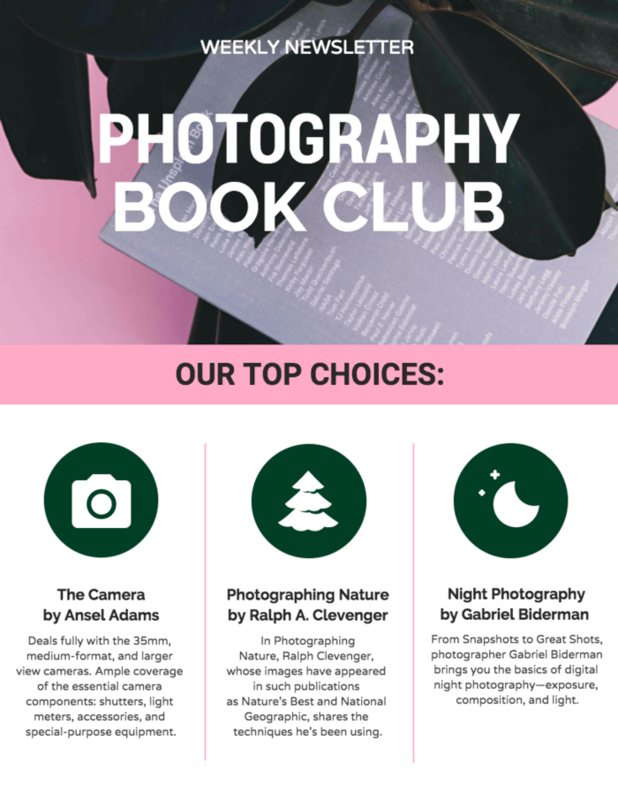 My personal favorite graphics tool – I upgraded to a paid Canva for Work account and don’t regret it! 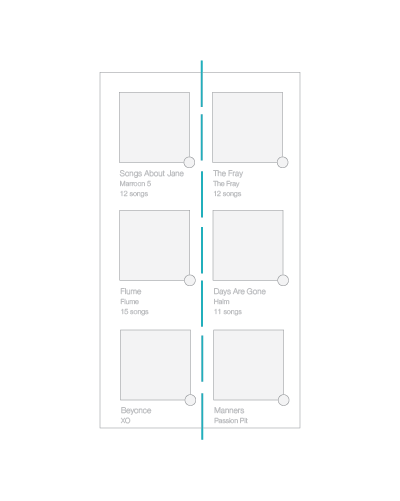 You can use templates and infographic elements in their library, as well as nearly every other design project you could image, many under the free version. Piktochart – A source for great visuals/infographics without much effort or searching for a graphic designer. I like their drag-n-drop editor and the templates for infographics, presentations, printed collateral (better flyers! ), and more. To download as print-quality or PDFs need the pricier, $29/month plan; however educational and nonprofit discounts plans available. Easel.ly – Has the most affordable pro plan if you want to upgrade from their free offering for creating good-looking infographics, charts, timelines, process charts. You can start from templates or from scratch. Discounts available educators and nonprofits, plus it has won an award from the AASL (American Association of School Librarians) for ease of use by students. Yay! Visme.co – Create infographics, visual resumes, presentations, as well as graphics that are interactive for websites. Free plan has limited access to their ‘data widgets’, which easily turn stats to gorgeous graphs. Discounts available for nonprofits and educators. Venngage – Use their easily configurable, pre-made templates for simple visual elements like bubble charts, tree maps, other simple shapes to add to a blog post, social graphic, or a flyer. Infogr.am – Another option to create infographics, charts, maps and more. 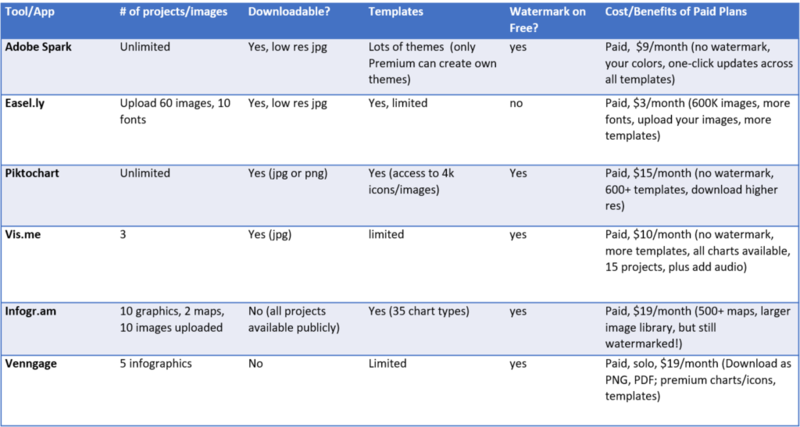 It might handle charts better than some of the other options, BUT it’s frustrating you can’t get rid of their watermark to add your own logo until their $67/month plans or higher. Tech Tools & Hacks column for InfoToday’s MLS Newsletter. And finally … an infographic about the importance of …. Infographics. I demonstrate marketing tools like the ones mentioned in this article in my FREE monthly Marketing Tool Talk webinars. Are you getting YOUR invites? Sign up to make sure you do.